Sheila O’Donnell knows fundraising. With more than 15 years of experience in the field of development and philanthropy, O’Donnell appears well suited to head ALA’s Development Office, a position she started March 28. Prior to joining ALA, she was director of development at the Crossroads Fund, a Chicago-based organization that supports local groups working for racial, social, and economic justice. During her 10 years there, she helped raise $3 million for its first endowment, doubled its donor base, and increased contributions to its partner funds ninefold. O’Donnell has a BA from Macalester College in St. Paul, Minnesota, and an MFA from the School of the Art Institute of Chicago (SAIC). She also served as director of annual support for Ox-Bow, an artists’ summer residency program affiliated with SAIC. 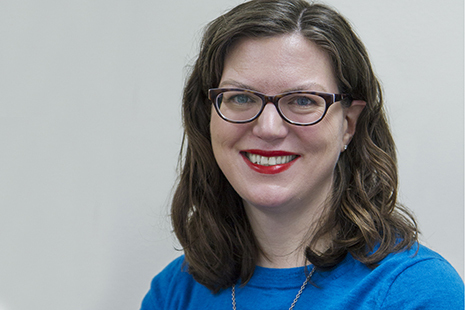 Amid the frenzy of orientation and traveling to Denver for the Public Library Association’s conference, O’Donnell generously took time to participate in our “11 Questions” series to help introduce herself to ALA members. Tea every day. Coffee when my kids have kept me up all night or if I really want to treat myself. What’s the first website or app you check in the morning? Most of fundraising is being a good listener. 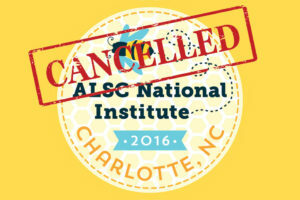 What drew you to librarianship/ALA? My mom went back to school to get her MLS when I was 8, and she attended the annual ALA conference to job hunt, and she eventually found a position as a Spanish-language cataloger at El Paso (Texas) Public Library. I have known and admired ALA ever since. Most distinct aspect of your personal office? Right now it’s empty. 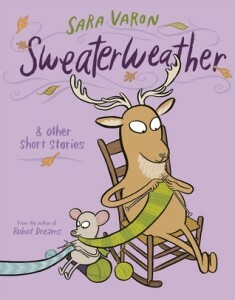 But I plan to hang artwork made by my friends, including children’s book author and illustrator Sara Varon, very soon. Recently I have been watching old seasons of Project Runway. My 6-year-old is a budding fashionista and a huge fan of the runway. I worked as a summer camp counselor for seven years, starting when I was 13 and finishing up when I was about 20. What do you hope to bring to ALA and members? Strange as it may seem to many, I love fundraising. There’s nothing more exciting to me than identifying resources to accomplish our important work. I hope that my excitement is infectious! If you had to choose any other profession, what would it be and why? Before I discovered my talent and affinity for fundraising, I thought I might become a librarian. I’ve been on a kick of reading memoirs, which is kind of unusual for me; my tastes generally run more to speculative and other fiction. I recently finished How to Grow Up by Michelle Tea and Hunger Makes Me a Modern Girl by Carrie Brownstein. Both of these women are more or less of my generation and we came up through a similar 1990s culture, so I appreciate reading about that time—plus they are both just smart books. Right now I’m reading Memories of a Catholic Girlhood by Mary McCarthy. I can’t believe this is the first time I’m reading Mary McCarthy—she’s incredible. Tool used for keeping your life organized? 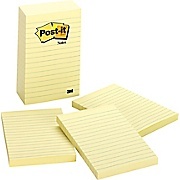 I am obsessed with those big Post-it notepads, which I use for my multitude of to-do lists. 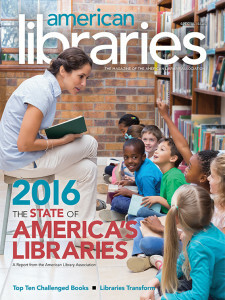 SANHITA SINHAROY is managing editor of American Libraries.